I just read this article and thought you might want to give it a read, too. 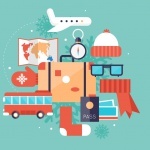 It\'s called 21 holiday hacks that will save your life and you can find it here https://www.orbitz.com/blog/2016/10/21-holiday-hacks-will-save-life/. Traveling over the holidays is alternately joyful and stressful (here are tips for managing that stress). While breaking bread with loved ones or escaping to tropical climes is just what every weary worker needs, the best laid vacation plans can also turn into a ho-ho-horrible nightmare if not executed properly. Given that everyone wants to travel over both Thanksgiving and the last week of December and the weather this time of year leans toward awful, it’s best to follow some friendly advice. Before you go over the river and through the woods to grandmother’s house, consider these 21 holiday hacks that may just save your life. 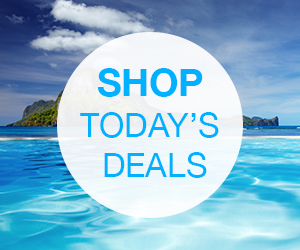 Give yourself the gift of savings this year and package up your airfare and hotel reservations. 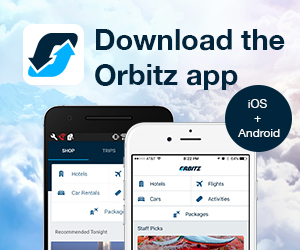 Add a car rental to the mix, and travelers can savean average of $500 on Orbitz. The more you bundle, the bigger the savings. Who said good things come in small packages? If you’re booking airfare, the best prices are typically found departing on Sunday, Monday or Tuesday and returning Tuesday, Wednesday or Thursday. Monday to Monday trips are usually a good bet. Also, for shorter trips, try to fly out during the week day instead of over a weekend. Being flexible can pay off. 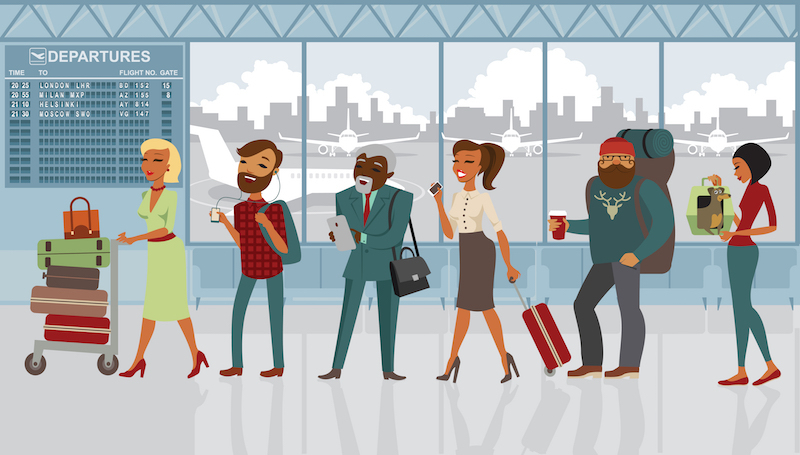 If your holiday schedule allows, book flights on less popular travel days such as Christmas Eve, Christmas Day, New Year’s Eve or New Year’s Day. If you don’t mind scheduling a trip on a popular holiday, they often have the cheapest fares. 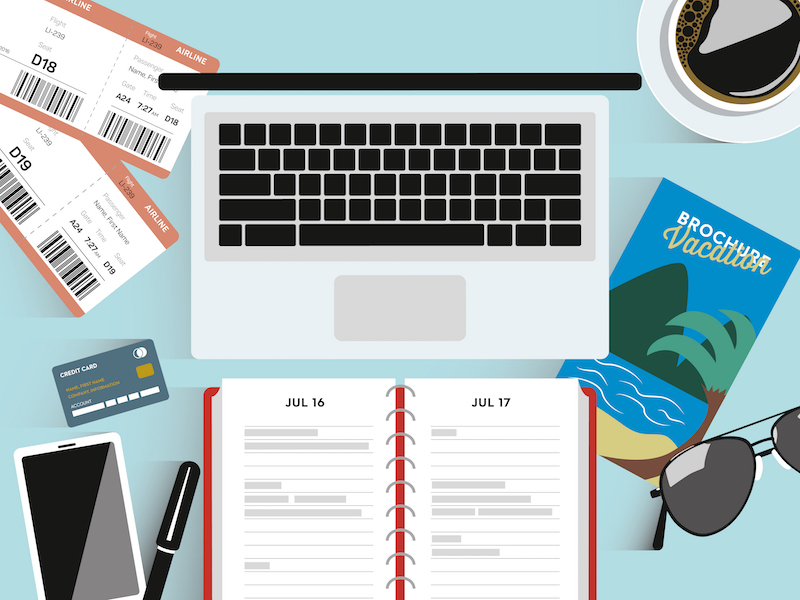 When booking flights, check your search results carefully for sufficient time during layovers, and build in some time for flight delays and weather woes. Nobody wants to spend their holiday overnighting at O’Hare. If your heart is set on a hotspot that is just out of your reach over the holidays, hold out and book your vacation for the week after (meaning the week after Thanksgiving, Christmas, New Year’s, etc. ); airfare & hotel will be significantly cheaper, and the crowds at a minimum. Whether you use it as a blanket, wear it as a fashion accessory or roll it up like a pillow, a cozy scarf is a versatile travel item for holiday travel. Besides keeping you warm on chilly airplanes, it can also dress up just about any outfit—taking you from day to night in a pinch. Technically, this is an unpacking hack. Instead of plugging in the iron and setting up the ironing board, just hang wrinkled clothing in the bathroom while you take a hot shower. Your clothes will turn out wrinkle-free fromthe steam. Airplanes are one of the few places on earth where they can charge double for food that’s half as tasty. Pack your own snacks in a container and then wrap it in a tea towel. The towel gives the pack an extra layer of protection—plus, doubles as a napkin! But if you prefer to eat at the airport, these are your best food options. Save yourself time and money at the check-in counter by weighing your checked bag ahead of time. You don’t even need a luggage scale. Just step on a bathroom scale with and without your suitcase and subtract the difference. Tip: If it’s over the limit, try wearing a few extra items instead. Flying to visit family? Instead of wasting precious space in your suitcase, send presents ahead of time by purchasing online and shipping to your family member’s home. That way they’ll be waiting when you get there, and you’ll have instant gift-wrap, thanks to the U.S. Postal Service. All you need is a carryon-friendly bow to top it all off. You know the TSA rules—no liquids under 3.4 ounces unless medically necessary (like medicine or contact solution). So you won’t get a bottle of water past the security line, but you can always pack an empty one and refill it at a drinking fountain for free. We don’t know about you, but we’d practically die of thirst before paying $6 for a tiny bottle of water at the kiosk. It’s the principle of the matter. Save your cute lace-up, buckled shoes for the holiday party and slip on comfortable flats for the airport. No one wants to be the one holding up the security line prying off their shoes, so go slip-on and avoid having to endure the eye roll from the lady waiting behind you. 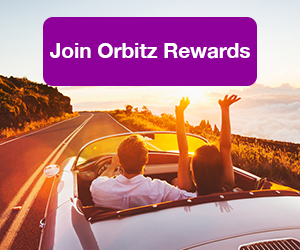 ALSO: Give yourself the gift of cheaper travel by joining for Orbitz Rewards! Wi-fi is becoming more common on airplanes, but what’s the point if your battery conks out mid-flight? Use a universal portable power pack to extend the life of your phone, laptop or tablet. Also, outlets can be in high demand at airports, so save yourself the trouble and bring a splitter so you can charge multiple devices at once. If you’re not already doing this every time you park in a large lot, start right now as there’s nothing worse than forgetting where you parked your car and having to search for it, especially when the weather’s not nice. Instead, snap a simple pic on your smartphone of the row marker and floor level and save time right when you need it. Last year the American Automobile Association predicted that almost 47 million Americans would travel to celebrate Thanksgiving. That’s a lot of people! If you get stuck, be sure to pack a safety kit, with road trip essentials like an ice scraper, tow rope,blankets, flashlights, a bag of sand or rock salt, and a first aid it. It also helps to have spare change for tolls. Here’s a handy tip if you’ll be driving this season. If you’re behind the wheel in inclement weather, avoid using cruise control. This setting can make it easy to space out and delay your reaction time. Those precious seconds could make all the difference—especially when road conditions are hazardous. De-icing your car is the worst. Who wants to get stuck outside, scraping off the car while you fingers feel like they’re about to fall off? While your car warms up, just spritz your windshield with de-icing fluid. Bottles are inexpensive, and you can pick them up at any local hardware store. Avoid giving kids salty snacks in the car. Follow our logic here: Salt makes kids thirsty. Thirsty kids drink more water. More water means more bathroom breaks. The less time you spend at rest stops, the more time you can spend on the road. So opt for fresh fruit, cereal, or raisins instead. There are only so many times a person can hear Grandma Got Run Over By a Reindeer before they go a little crazy. Make a holiday playlist for your holiday road trip, and include songs that aren’t festive as well. That way, when you’re sick of everything on the radio, you’ll have a backup option ready to go. Google Maps forever changed the way we hit the road (does anyone really drive from memory anymore? ), but there are other apps out there that will enhance your holiday travel. Community-based Waze gives users real-time updates on traffic conditions and road issues, cheapest gas prices and allows users to send an estimated time of arrival to their friends and family members. Meanwhile, Local Weather, offers current weather conditions updates by the hour.